Updating to a new build of Windows is always a give-and-take process. The Windows 10 Anniversary Update is full of great new features like a more powerful Cortana, deeper integration with mobile devices, and new inking features designed to make the stylus cool again. But as with any new version of Windows, the Anniversary Update also removes a few features and functionality that some of you might miss. Amid all the excitement over what's coming to AU, here’s a look at what Microsoft sent to the Recycle Bin. The Windows 10 login page in build 14385. A small, but nice cosmetic change. 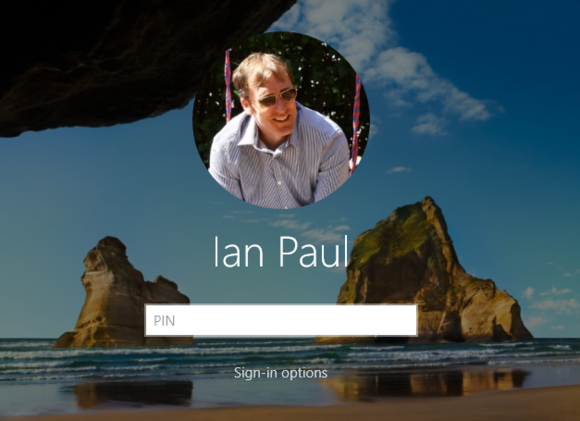 Now, when you click or swipe away the lock screen background picture, you don’t end up on a login screen with a plain colored background or the default Windows background. Instead, you get the same picture as your lock screen by default. The new animation for switching between the lock screen and login page is quite nice too. Microsoft’s experiment with seamless Wi-Fi login sharing is going away. Wi-Fi Sense was originally a feature on Windows phones, and came to PCs with Windows 10 in 2015. Now, Microsoft says it is removing the feature from both phones and PCs beginning with the Anniversary Update, because so few people used it. While a nice idea in theory, Wi-Fi Sense was never welcomed by users and critics largely because it required Microsoft to store your Wi-Fi login credentials on its servers. Some of those fears were misplaced, but the general idea of the service was never well received. While the Wi-Fi login sharing is going away, Wi-Fi Sense’s secondary feature, which alerts you when an open Wi-Fi network is nearby, will remain. Windows 10 Mobile’s kids-only space, Kid’s Corner, is another victim of low usage. The feature first came to Windows handsets with Windows Phone 8.1. It was designed as a way to create a kid-friendly area on Windows phones—complete with its own Start screen—where kids could use certain apps and other data without accessing other parts of the phone. While Kid’s Corner is going away, there is an alternative feature that users can try instead called Apps Corner. The feature is under Settings > Accounts > Apps Corner. It doesn’t have quite the same features that Kid’s Corner did, but you can give children their own Start screen and access to select apps. 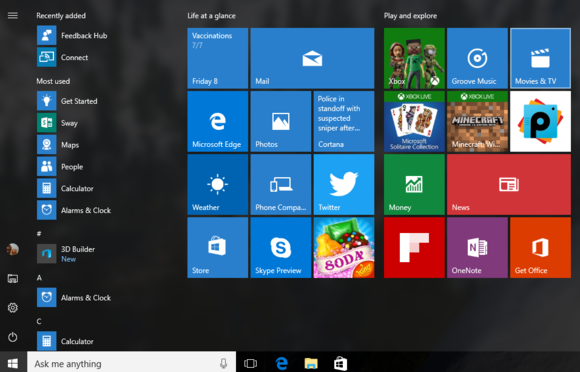 A longtime feature of the Start menu is going away. Starting with the Anniversary Update, Windows 10 users will no longer see the All apps button, which was also known as “All programs” in previous versions of Windows. Instead, users will just see a long list of installed apps in alphabetical order like they do now when they press All apps. The idea is to reduce clicks to access programs in the Start menu. To accommodate the end of All apps, Microsoft is putting certain features to the left of the installed apps scroll such as the Settings app, your user account picture, and the power button. Okay, fair enough this isn’t something that Microsoft is really taking away since it never made it to the standard build of Windows 10 in the first place. Nevertheless, many Windows 10 Mobile users were looking forward to the ability to use the Messaging app on both their PCs and phones to send and receive texts. Instead, Microsoft has decided to rebuild the feature for Skype. Let’s hope Microsoft can get it right as Skype integration is pathetically broken and missing key features on Windows 10 Mobile at this writing. In the meantime, Windows 10 Mobile users will have to make do with Cortana’s SMS feature for sending texts on their PCs. Windows 10 November update (left) vs. Cortana Insider build 14383 (right). Microsoft appears to be playing hardball when it comes to Cortana. 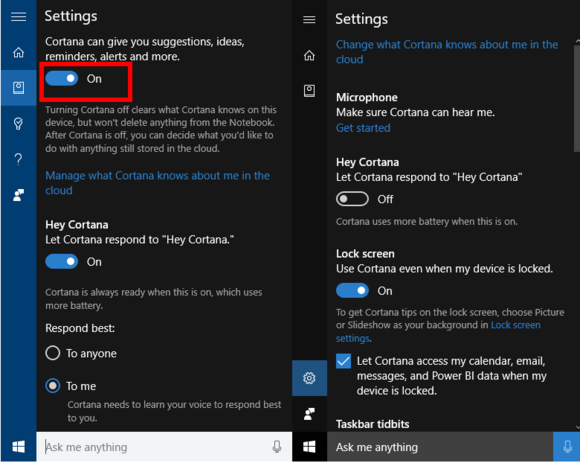 So far in Windows 10, if you didn’t like Cortana you didn’t have to use it, but with the Anniversary Update the option to turn off Cortana appears to be going away. Windows watcher Paul Thurrott was the first to notice the inability to turn off Cortana in a late Insider build in June. At this writing, build 14383 also lacked a mechanism to turn off Cortana. We’re checking with Microsoft to confirm that Cortana won’t have an off switch. Making Cortana mandatory would be an aggressive move by Microsoft and likely won’t sit well with the more privacy-conscious users—at least those who haven’t already switched to Linux. The Start button in Insider build 14383. When Microsoft rolled out Windows 10 it removed hibernate from the power options in the Start menu—though you could put it back. In late Insider builds for the Anniversary Update, Microsoft went one step further and also removed the sleep option from Start. We’re confirming with Microsoft that it has permanently removed the sleep option. Related to the removal of sleep—and once again, we’re confirming this with Microsoft—the notion of hibernate is missing completely from the Anniversary Update. When you dig into the power settings in the control panel and the Settings app, there are no mentions of hibernate or sleep functions. This makes a certain amount of sense since hibernate and sleep were confusing terms for most Windows users. Nevertheless, it’s surprising to see that sleep and hibernate aren’t even available as power user options for those who want them. We saved the best for last. 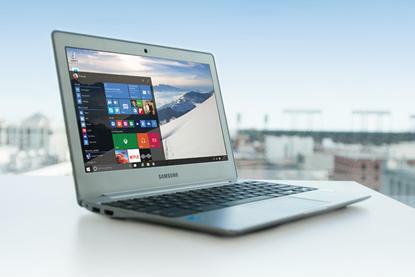 Windows 10’s feature removal isn’t just for Windows 10 PCs. Windows 7 and Windows 8.1 users are getting a treat as well. With the Anniversary Update landing August 2 and the free upgrade period expiring, Windows 10 holdouts will soon stop seeing notification pop-ups and full-screen nags asking them to upgrade. Congratulations, Windows rebels. You made it.